Hotel Clover 33 Jalan Sultan is the latest addition to the list of Hotel Clover properties. Located on the fringe of Bugis, the hotel might not be the ideal choice for tourists or locals who intend to use the MRT train as their primary mode of transport, but we’ve always preferred ditching our maps in favour of getting lost and discovering new sights anyway. Especially so, when your surrounding neighbourhood is as authentic and charming as this – we’re looking at mom n’ pop stores peddling tropical fruit and discounted water, Indian eateries where the heady smell of prata is perfuming the air and tempting many a hungry passer-by, and a beautifully ornate Muslim mosque dressed in faded bronze and blue that I was staring so long at, I missed my chance to cross the road at the traffic light. In the spirit of cohesiveness and integration with its surroundings, Hotel Clover 33 Jalan Sultan is a South-East Asian themed property, featuring interiors of rich wood and dark brown colour palettes that result in a thoroughly relaxing and intimate feel. 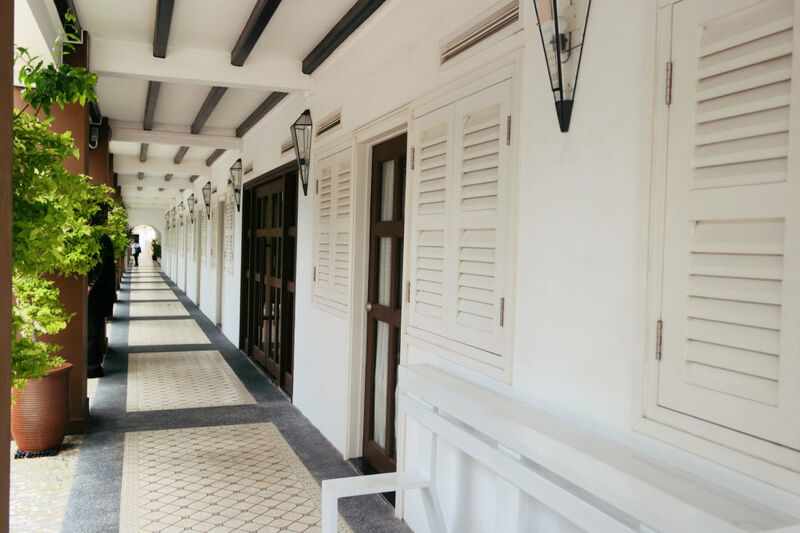 It’s housed in a row of 17 two-storey conserved shophouses, and the tiled floor at the hotel entrance conjures up imaginations, or perhaps memories (depending on which generation you’re from!) of a slower-paced, more romantic era. All rooms and suites at Hotel Clover 33 Jalan Sultan are equipped with a complimentary mini bar, coffee and tea making facilities, and unlimited access and local calls. 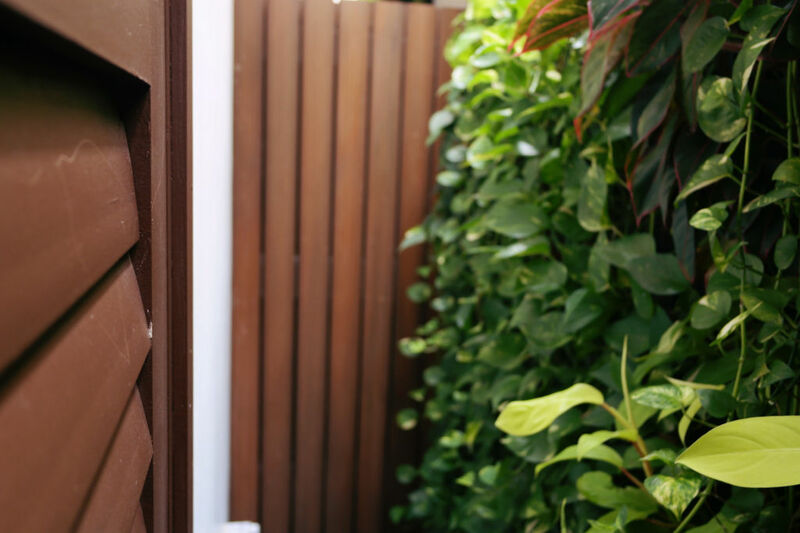 We stayed at the Indonesian-inspired Garden King Suite – other than an ultra plush four-poster bed, this also comes surrounded by a small strip of vertical garden on either side of the room. 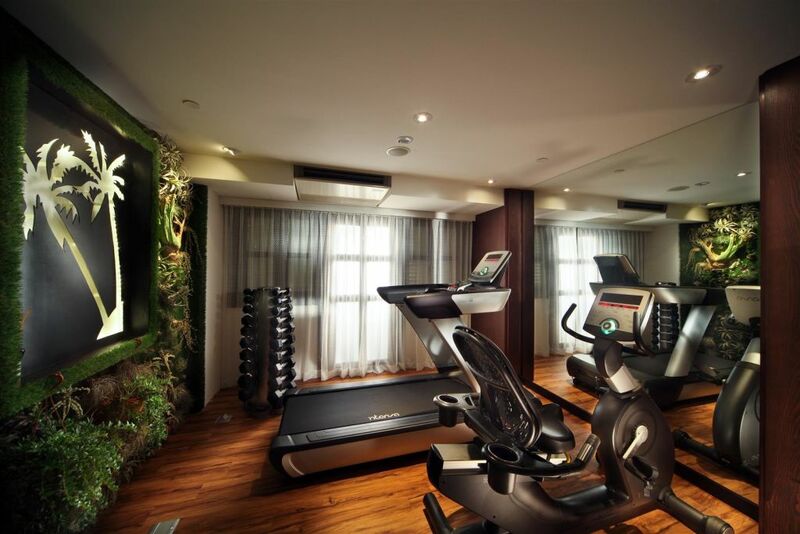 Hotel Clover 33 Jalan Sultan may not have much to offer in the way of facilities, but gym rats will be glad to hear that they do have a small gymnasium that’s open 24 hours, so you can squeeze in a workout if you’re so inclined. 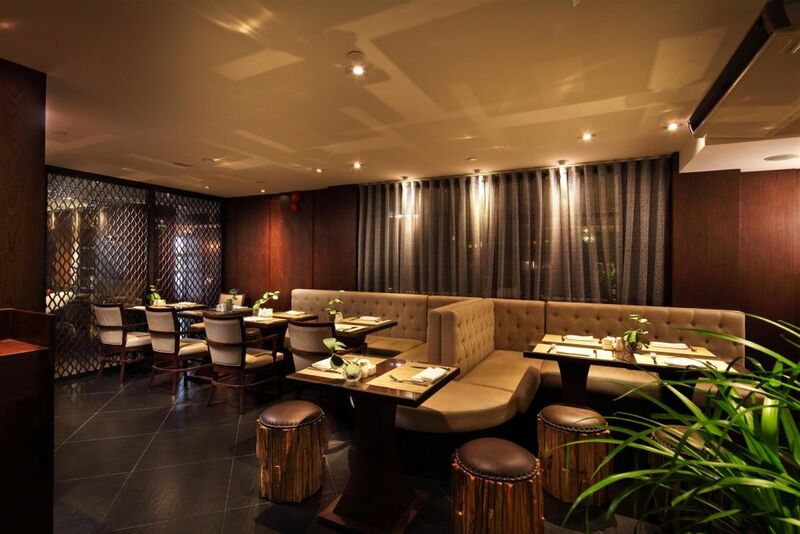 Clover Garden is the hotel’s resident restaurant, which features an East-Meets-West theme. Their complimentary breakfast comprises of a pretty decent spread of both hot items (nasi lemak, scrambled eggs, potatoes, sausages) and cold ones (yoghurt, cereal, bread, ham and cheese) that’s guaranteed to fill your tummy and get you all revved up for a day of adventure. 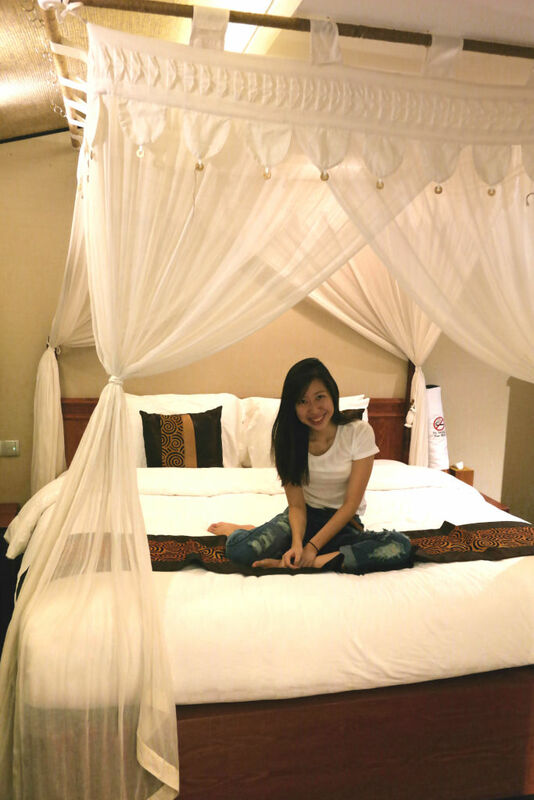 Room rates are pretty affordable – a Select Queen is priced at $190 per night, and the Garden King Suite pictured above goes for $260 per night, so definitely consider Hotel Clover 33 Jalan Sultan if you’re looking for staycation accommodation that won’t break the bank! This was an invited media stay. Prev post To The Men: 7 Ways To Ace That First Date Next post Celebrating SG50: What Defines Us As Singaporeans?